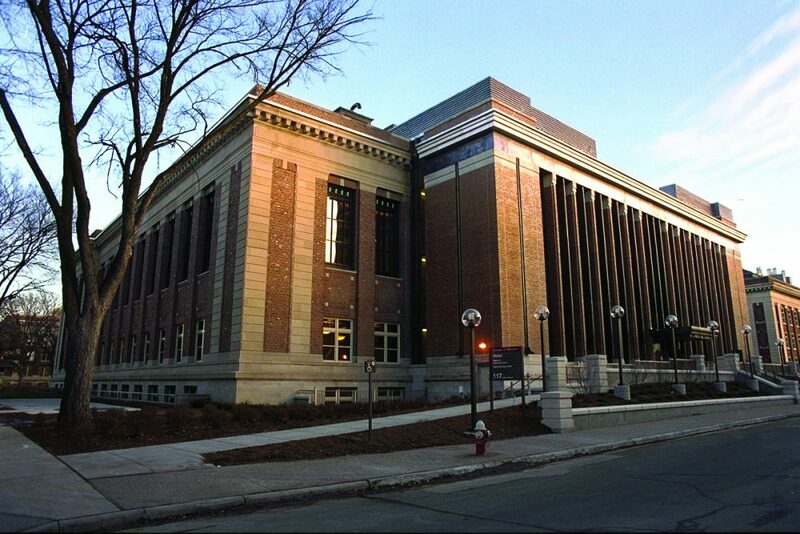 The University of Minnesota needed to transform and renovate the 75-year-old Walter Library into a code-compliant, digital technology-driven facility. The project was unique because the building is on the National Register of Historic Places, and it was necessary to define the engineering properties of the in-place floor slab concrete and reinforcement as these components could not be adversely affected by new construction, and the exterior had to remain generally unchanged. We were retained to be part of the design and construction team. Historic photos, original drawings and the geotechnical evaluation showed that the library had been supported directly on the Decorah shale that exists in isolated areas across the Minneapolis campus. This created special geotechnical challenges because of the variable weathered and unweathered zones, and the continuous and isolated limestone stringers within the shale. Confirming that the design bearing pressure was available was critical. As a result, the center of the west wall and the core of the building from the roof to the basement were removed and replaced with modern elements that blended with the historic feel of the library.